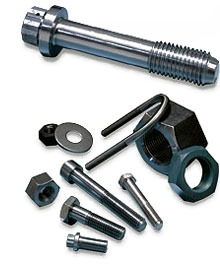 Nova, a product and service brand of Curtiss-Wright Nuclear, supplies a wide range of construction fasteners and related hardware products from its extensive inventory. Our audited and qualified vendors are experienced in supplying these products for nuclear use and Nova will provide material traceability as required. Nova has experienced in-house engineering and testing capabilities operating under our 10CFR50(B) quality program to commercial grade dedicate products for safety related applications. Nova also has stringent controls in place to safeguard our customers against fraudulent and counterfeit construction fasteners and hardware. Nova is experienced with explosion bolting and can deliver to your requirements. Explosion bolts are custom manufactured in-house at our Middleburg Heights location.